The Philippian Jailer: God the Experience: Can it be a Trap? God the Experience: Can it be a Trap? Much of the discussion in the Evangelical Catholics post/comments revolved around the topic of the "Sunday experience" as being decisive in major decisions we make about our ministry affiliations. My view on this matter has been shaped by many things, not least of which is a history of moving around the globe with the military. In my 22+ years in the Air Force, I've been in a lot of church/chapel services. Through it all, I've certainly seen my share of preachers, music, congregational cultures, etc. I have sung my share of hymns and of contemporary music, accompanied by everything from pianos and organs to full praise bands with electric guitars. I have seen elaborate altar calls and simple benedictions. I've seen expository and topical sermons of many kinds. I won't say I've "seen it all", but I've seen perhaps more than most. Whenever we move, we look for a new place to plug in. There are so many factors to consider: the how close the building is to our house, the quality of the preaching, the children's programs, the music, and of course ... whether people were friendly (I know--just keepin' it real). In the end, most of us make an initial decision based on what that particular "Sunday experience" was like versus our expectations. Often, the search is long and full of disappointments: the atmosphere was either too stuffy and formal or too irreverent and chaotic; the sermon was too "fire and brimstone" or too watered down; the people were either too cold and distant or downright suffocating; the music wasn't what we like and consider to be really spiritual ... you get the idea. To make matters more confusing, our first impressions are generally wrong and our expectations change. The uplifting music that first attracted us may not "feel the same" after a few months or years. The pastor's sermons start to sound the same from week to week. What used to seem like enthusiastic worship starts to feel forced, or what used to seem solemn starts to feel boring. Oh, and of course we discover that a bunch of these people who seemed so nice are (gasp) sinners, and occasionally act like it in the most inconvenient ways. Disillusionment sets in. But then ... we tried that other church down the street, and well it seemed so fresh and different! Ah, and the cycle starts again. Like most of you, I have my preferences, but the years have taught me to make my choices based on a somewhat different set of criteria than the "Sunday experience". I've come to ask the question: "Where does God want us to serve?" rather than "Where do I feel 'fed' on Sundays?" This changes the calculus, because the burden is on me rather than on the congregation. Worship in military chapels will do this to a guy ... chaplains come and chaplains go, and none is like the one who preceded him. The new one is assigned based on a variety of factors, generally not to include his statement of faith or preaching style. The congregation itself is highly transient and none is a "member" in the church sense of the word. Yet this has been my mission field--the people God has called me to serve for much of my career. Coming back to the question of the "experience"--I've come to think of this as occupying an outsized place in our decision making. We are commanded to praise, honor, serve, obey ... but nowhere in Scripture are we called upon to "experience" God. Yet we seem to believe that unless we feel the appropriate tingling in our toes, we are not engaged in authentic worship. In the name of the experience, we abandon our insufficient church in search of something deeper and more satisfying. In so doing, we leave those with whom we had forged a bond and who had come to depend on us in search of a better experience. What's more, for those in leadership, planning the services themselves may devolve into an exercise in manipulation, as we try to create the experience that will satisfy the hungry flock and entice visitors to make decisions. In a perverse way, it becomes "atheistic worship", as we try to do the Holy Spirit's job, because after all, He can only operate under the most pristine, man-made circumstances, as measured by how many people come forward during the altar call. Like in marriage, there is virtue in joining with a body of believers and staying faithful for better or for worse, and in shunning the siren's call of the "Sunday experience." Preach on, my Brother! Words right from the Heart of God to this guy who so often forgets the truth of this. When we're about our Father's Business, we often hear His voice and feel His presence in the strangest places. There is certainly a dimension of what you say that is true, we are to live faith not emotions, sights, sounds, etc. But the Christian experience is one that has an aspect of God touching our whole being heart, mind, soul, etc. I do not run after such feelings nor do I need to, but I am appreciate it when they come whether in the quietness of the inner witness by the Spirit to my spirit or some other more dramatic fashion. Thanks for the topic and its something to chew on for awhile in our spirits. I'm a strong believer in balance - we must be fed the WORD & we must digest it or expereince it too. Like two wings on a bird if you are weak in one then you only fly in circles. Feelings follow from thinking. If we have right thinking and as Paul said, are persuaded that HE is able, then our feelings, while they may waver, never destroy our faith. The problem with "feeling" is that it must rely on one's ability to comprehend a God that remains incomprehensible! Because our hearts are already deceitfully wicked - we demand "experiences" to acknowledge what we hopefully believe! God says it best: "Faith then, come by the hearing, and hearing, the Word of God." (Romans 10:17) What to do? Spurgeon said long ago, "Whatever the purpose, whatever the deed, make a beeline for Calvary!" The result? "And I, brethren, when I came to you, came not with excellency of speech or of wisdom, declaring unto you the testimony of God. For I determined not to know any thing among you, save Jesus Christ, and him crucified." I Corinthians 2:1-2 Thank you for you service to our country too... :)"
How true. 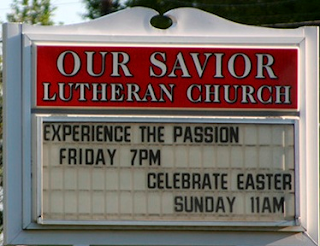 It seems many are seeking the “experience” of worship, and flitting from one congregation to another. I know them. These individuals are never satisfied. I understand your point here..."We are commanded to praise, honor, serve, obey ... but nowhere in Scripture are we called upon to "experience" God." But we are called to know Him. We are to love Him and to be Holy as He is Holy. The "experience" of worship, is no more able to satisfy the hunger for Holiness than the memorization of the entire Bible. They are activities of our mind and body but they are not what our Father wants most. He wants our hearts. In my years of ministry I run to churches that have expository preaching. I need to go to a church that has it's eye afixed on the Cross and not the "show and tell game" thus, playing church. When I preach, I preach Jesus Christ crucified and us as believers being crucified with Him and alive again with Him when He rose from the dead. The Great Exchange, my sin for His righteousness must be understood and preached. No music ministry, no screaming preaching, no falling out being slayed by the "spirit" or anything that will take my away from seeking the face from the One that is my First Love. We must put "Christ" back in Christian and look toward the Author and Perfecter of our faith. We need to concentrate on the relationship with Jesus Christ: "Who is the image of the invisible God, the firstborn of every creature: For by him were all things created, that are in heaven, and that are in earth, visible and invisible, whether they be thrones, or dominions, or principalities, or powers: all things were created by him, and for him: And he is before all things, and by him all things consist. And he is the head of the body, the church: who is the beginning, the firstborn from the dead; that in all things he might have the preeminence. For it pleased the Father that in him should all fulness dwell; And, having made peace through the blood of his cross, by him to reconcile all things unto himself; by him, I say, whether they be things in earth, or things in heaven. Once we know Who He is only then can we know how to worship Him and have fellowship with Him. Defending the faith!!!!! You make a great point. The benefit we have today with technology is to have access to unlimited teaching resources through podcasts and such. Sadly, I am not fed at my church. Yet, I faithfully serve, knowing that which I am called to do is far more than be a spectator. Thanks for your question. Geoff -- Well, I was approaching the chapel question from a different angle. I don't know about your implication that feeling good is equivalent to being built up. Moreover, I can't agree that the leadership is necessarily to blame when the congregant isn't edified. I'm unfortunately more than capable of wasting a perfectly wonderful worship service. Ps 34:8 -- "Taste and see that the LORD is good ..." is certainly a wonderful verse. Is it an invitation to "experience" God or to know Him? A short while ago at Oasis Coffehouse hosted by the chaplains at Ft Gordon I was talking with an E1 who was obviously miserable. I quickly learned he was a believer and everyone around him was not and he felt that he was in a desert since he had grown up in a vibrant church. He was very concerned that he was not being fed and nourished. The Holy Spirit prompted me to tell him that his perspective was wrong. He was in the desert, but he contained the Living Water that everyone around him needed and to pour out all that had been poured into him growing up. He left on fire for the Lord and with a smile on his face for he had grasped that at the core is our relationship with the Father, enabled by Christ and led by the Holy Spirit to serve the Father in fruited plains or deserts. If we stay rightly related to the Father, the Helper will supply all our needs. Doc -- I'm with you on expository preaching. I hunger for it myself. On the other hand, what do you do if your church no longer provides it? Do you leave the flock you minister to in order to find another church with better preaching? For me, the answer is no (presuming there is no heresy). I would rather remain for the sake of the sheep. Expository preaching is one persons comment on what the Bible says and what it means to us today. Sometimes its good, sometimes its off base, sometimes its great revelation from God, sometimes its just one man's opinion Sometimes it's a repeat of what some past preacher said, sometimes it's new. - remaining for the sake of the sheep? That is the very heart of God! If your church no longer provides it, it is drifting away from the Lord: " Therefore “ Come out from among them And be separate, says the Lord. Do not touch what is unclean, And I will receive you.” “ I will be a Father to you, And you shall be My sons and daughters, Says the LORD Almighty.”--2 Corinthians 6:17-18. True pastors will caution their beloved children in the Gospel, not to be unequally yoked. The caution also extends to common conversation. We should not join in friendship and acquaintance with wicked men and unbelievers. Though we cannot wholly avoid seeing and hearing, and being with such, yet we should never choose them for friends. We must not defile ourselves by converse with those who defile themselves with sin. Come out from the workers of iniquity, and separate from their vain and sinful pleasures and pursuits; from all conformity to the corruptions of this present evil world. If it be an envied privilege to be the son or daughter of an earthly prince, who can express the dignity and happiness of being sons and daughters of the Almighty? When they stop speaking the true Word and stray away from their First Love, they should be confronted by you as indicated: "Moreover if your brother sins against you, go and tell him his fault between you and him alone. If he hears you, you have gained your brother. But if he will not hear, take with you one or two more, that ‘by the mouth of two or three witnesses every word may be established.’--Matthew 18:14-16. If you're the pastor and they no longer want you to preach expository preaching because it's not popular; what do you do? You must speak the truth in love and continue to preach the way God guided you to. On this, Doc my friend, we part ways. First, I don't necessarily equate the lack of expository preaching with "wicked men and unbelievers". That takes the case for expository preaching (which I love and greatly value) too far. In fact, I consider one of my ministries throughout the years to be to my pastors and chaplains. I could leave them because their preaching is inferior, or I could encourage them so that their ministry (including their preaching) might be better (such as in the case of Apollo). I believe my calling is to the latter. For one thing, I have made a commitment to my local church, which is like my commitment to my wife. Do I leave my faithful wife if she were longer is all that I would wish? Preaching the truth is what I am talking about and not necessarily the delivery. Why are these poeple choosing to change what they are doing? Is it to glorify God? Money? Prestige? We definitely have had different experiences in the ministry and I know that when preachers that I know have gone in this direction, they keep going and stray away. For example, I was under a very strong preacher in El Paso and he was know for his great preaching and then he was introduced to Keneth Copeland and changed everything about the way he approached the Bible. Fame, fortune, and pride will hurt a church. I don't want to be far off from what you think because I believe we have much in common however; in this case this is what happened time and time again in the places I saw the preacher change. - about the HEAR and OBEY of worship you'll note that at the receiving of Torah upon the Mount that Israel said that they would "DO AND OBEY" the deed came first from the instinct of the Holy Spirit and the Obedience came from the 'HEARING OF THE WORD"
- until one can hear the still voice its truly hard to authentically "rejoice"
Thanks for the thoughts Flip. In my comment there was no 'failed church experience'... simply 'an inefficient one' reflected by how military chaplaincy is established as Jailer helpfully explained. This is an interesting discussion. I would challenge anyone that we do have experience with God. But that experience is that we are changed into new creatures, the very image of Christ, by the Holy Spirit (2 Cor. 3:17, 5:18). I believe many seek the experiencial worship service because they have not received the experience I described. So if I have a choice between a church service where it seems like God is sensibly present and one where he is not, why would I choose the one where I do not sense his presence, especially if I am bringing my children to church with me? Is your relationship with God/Jesus personal? I didn't plan on being a christian ... I was in a revival and one minute laughing at the preacher and the next half way down the aisle crying my eyes out and begging Jesus to come into my ,life. From that day forward ... like you said churches come and go but hope and pray you have the joy of a daily stroll through life with Jesus at your side. Let me clarify: I don't disdain worship experiences and personal relationship with our Lord by any means! I merely question the pursuit of the "experience" as an end in itself, or a proof of a church's worthiness. In fact, we need to accept that "frustration" (Rom 8:20) and "groaning" (8:22) are part of our experience while we live on earth, and that we won't experience the "face to face" communion with God we were made for until we reach glory (1 Cor 13:12). If we move constantly from church to church in search of a better experience, does it primarily reflect a shortcoming in the church, or in us? Many of us in the military have the benefit of going to many churches not because we don't like them or get bored with them, but because the military moves us every few years. So the blessings we get from that is we get to experience many different styles and formats. I think the issue you bring up is that when we are young Christians, the music and preaching draw us closer to God. As we mature, we start seeking God in a different way and start to understand that it is not about us but Him. As we mature, we seek to see God's will in our lives and what we are doing for Him. I'm with you. I may be at a church that is not dynamic, but feel that is where God has planted me to do good. As I get older, the one thing I am starting to understand is that God's word is far greater than the messenger. If God only used dynamic preachers to spread His message, we may have missed out on Moses and many other men of God who spread the Word, not from their mad speaking skills, but just because the Word is above all things. Thanks for a great discussion and blog. I will put this on my favorite and visit often. I think there's ample room for both perspectives. You need not look far to see that public worship and praise are important. Certainly the role of music in worship is important not only to glorify God, but to help us to draw into an attitude of worship. On the other end of the spectrum is the need to follow sound leadership and a leader with vision. Yes, we can certainly all worship together in any setting, and we need not have a dynamic leader for the worship to be pleasing to God. on the other hand, being a body of believers is about more than coming together on Sundays for worship. (Or however many times a congregation might gather together.) Being Christians is about allowing God to shape our lives and allowing God to work through us to impact our communities and the world. (I'll recommend the book, "The Hole In Our Gospel" as a reference to this point.) So I might worship under the leadership of a chaplain as an act of obedience, but if the chaplain, or any minister, does not seem to be challenging me with God's word, then am I being a good steward of my time, or of my life simply by submitting to his leadership? You also rightly mention the congregation, to whom we have a commitment and have formed a bond. They are certainly considerations as well. My point simply is that there's a lot involved in one's decision to stay or go and just because someone's leaves doesn't mean he/she is inauthentic. I too spent 22+ in the Air Force. A comment was made to me in a church in Okinawa. We were overpaid missionaries. That was eye-opening. Sometimes because of where we were, worship was not on Sunday. Or as you stated, in the chapel, the chaplains rotated in and out. But for some of us, we were there for a long haul. Where many of us connected was with small groups or communities. The Bible studies that take place outside the church are often times of dwelling on the meat of the scripture and being personal with our relationship with Christ. I think back to the "Sunday Experience" happening at the Thursday evening bible study or the Tuesday morning men's study. I appreciate your thoughts and agree wholeheartedly. Your reference to marriage stuck out to me. Why is it that evangelicals (evanjellyfish?) have a divorce rate as high as (or higher than) the non-Christian culture at large? Answer: no commitment. No real understanding of the vows (egad!) they took to their spouses! Thus, unless there is a REAL reason to leave a spouse (and I grant that there are legitimate reasons for divorce), we ought to remain bound to our spouse, regardless of how lovely he or she might be. Again, there are just reasons for divorce. By the same token, we generally ought to love the Church (capital "C") as well as our church (lower case "c") and remain committed unless it is clear that there is something unbiblical going on there. God commanded Hosea to marry a prostitute. Hosea represents God, and the prostitute Gomer represents Israel and, by implication, us. We are continual spiritual adulterers, even as those bound to Christ. We ought love our congregation and, unless there are clear unbiblical things going on there, we ought to remain bound to them and LOVE the church, as well as to "study its peace and purity" as the membership vows of my denomination state. By the same token, I'm not commanded to be bound to my church congregation in the same way as I am to my wife, but there are parallels. I fear that we too quickly run away from where God has placed us to serve and be used by Him. Perhaps our discomfort at times in these bodies where "I'm not getting fed as well as I like" (or fill in the blank for whatever dislike we have) may actually be God's teaching us then and there. "I've come to ask the question: "Where does God want us to serve?" rather than "Where do I feel 'fed' on Sundays?" This changes the calculus, because the burden is on me rather than on the congregation." When I take this as a guide and push past criticism, does it allow me to serve the church by pointing out concerns about the worship? Can I serve that way, or is that pushing the boundary of the word serve? In other words, can I bring up the things I am missing from the worship in the context of serving the church as a member? I hope so, Patrick, because I'm fairly vocal about where I think the worship is deficient and can be improved. Of course, as a leader in my church I'm in a position to effect change. On the other hand, I try to keep my criticism constructive--my purpose is to build up, not to tear down. There are plenty of critics (many of whom don't actively serve the church).